The William Blake Archive is pleased to announce the publication of seventeen pen and ink drawings by Blake. Ranging chronologically from his apprenticeship as an engraver to the final decade of his life, this group offers a comprehensive overview of his work in the medium. Most were created when Blake was learning his craft as an artist and reveal his exploration of various themes and genres. His apprentice drawings for James Basire (The Body of Edward I and Countess Aveline) show his early engagement with medieval art. Another group (two drawings titled Figures from a Greek Vase and Charon) is clearly based on classical art or mythology, responses to which were central to British art and design in the second half of the eighteenth century. 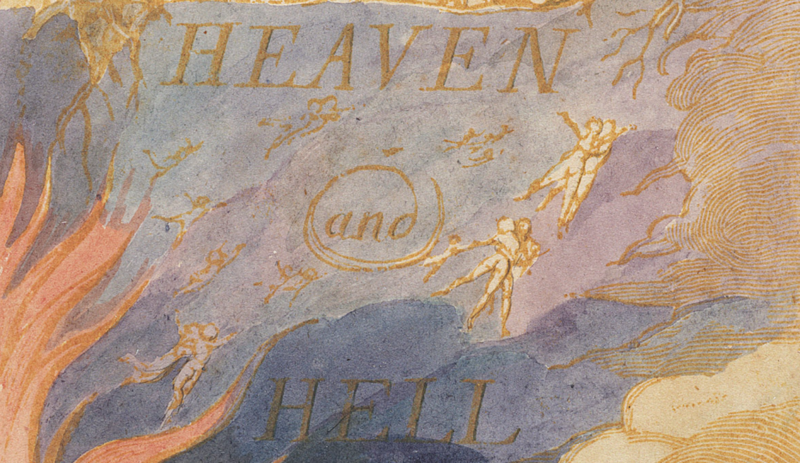 The cluster of related sketches on two leaves, each titled Four Composition Sketches, is the earliest extant example of Blake’s attempt to construct a pictorial narrative through a series of images. In these, he began to develop his own version of the sublime, an aesthetic more fully represented by the texts and designs in the illuminated books of the 1790s. 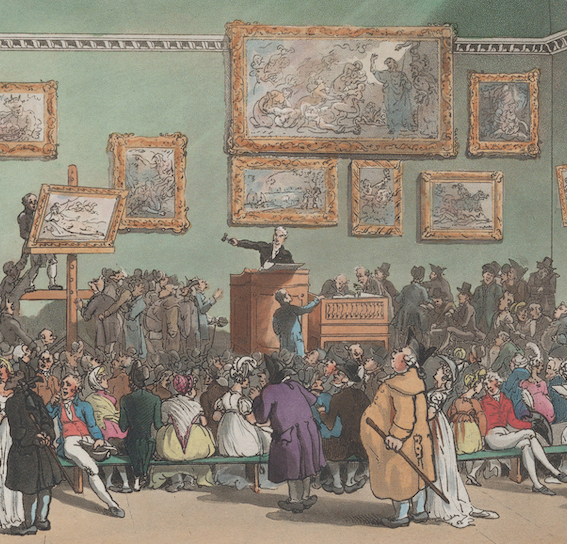 Several works from the 1780s show the influence of neoclassicism and take their subjects from two fields of lasting interest to Blake: British history (King Alfred, A Woman Enthroned, and Procession of Monks) and the Bible (Saul and David, Goliath Cursing David, and two versions of The Good Farmer). The three much later drawings are exceptions to Blake’s customary procedures and subjects: a landscape Garden Path, The Prophet Isaiah drawn on a woodblock for a wood engraving never executed, and Lady Torrens, a copy of a family portrait by his friend and patron John Linnell. Blake did not execute a large number of pen and ink drawings. This is a bit surprising, given the compatibility between the linearity of the medium and his insistence on “the distinct, sharp, and wirey … bounding line” as the “great and golden rule of art” (Blake’s Descriptive Catalogue). He did, however, make extensive use of pen and ink work to outline forms in his water colors, color prints, and hand tinted relief etchings in the illuminated books. 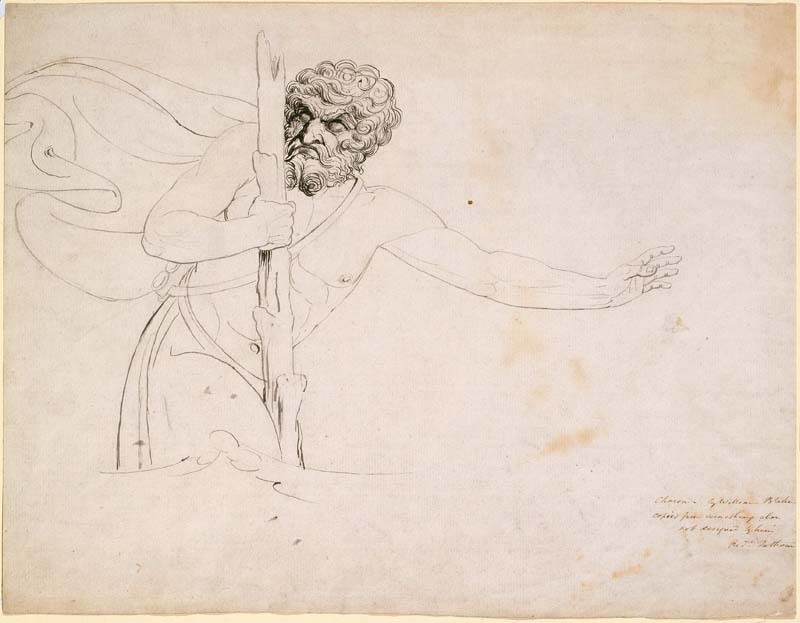 For preliminary sketching, Blake favored pencil over pen and ink, probably because of the lower cost of pencil and the ease of erasure and correction it offered. The Archive will publish his pencil sketches decade by decade, beginning with the earliest works, 1779 through 1790. This is the first time that works from the Society of Antiquaries, London have been represented in the Archive. Accordingly, we are also publishing the Society’s Blake collection list, which includes all of its original works by Blake, not just those published in the Archive, and joins the Collection Lists of over thirty other contributing institutions. Additionally, the Archive is adding searchable HTML and PDF editions of forty-five past issues of Blake/An Illustrated Quarterly, forty published from 1990-2000 and five issues published since 2010. These issues are accessible via the second entry on the home page, just below “Works in the Archive.” They join the thirty-nine issues published from 2000-2009, thus making eighty-four past issues from 1990-2011 freely available both in the PDF versions as originally published and as HTML versions re-implemented with many full-color images from the Blake Archive, making it possible for users to link directly to the Archive for those works that have been published in the Archive. Issues published within five years of the current issue will remain available only to those who subscribe to the journal. Pingback: Publication Announcement – 17 pen and ink drawings and 50 past issues of Blake/An Illustrated Quarterly (1990-2000, 2010) | Uncategorized | Aggregated blogs on Romantic Studies - please click through to read full posts.